Imagine a creature tens of thousands of years old, sent to Earth as a watcher by a shadowy race of gods. 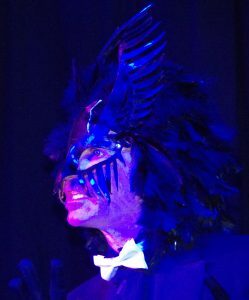 Now imagine that he’s equally capable of appearing as a crow or a human, with the jaded attitude of a film noir detective, and you have the personality profile of a character known as Dead Crow. As the introductory prose poem to a work-in-progress of narrative poems, the Prologue combines elements of mythology drawn from classical, Celtic and aboriginal sources to create its powerful central character. To realize this vision Joyce fuses techniques from live theatre, film and a compelling soundtrack written and recorded by composer Noel Fudge. To introduce the film Joyce will speak about the various literary and aesthetic sources that went into the creation of the character and the poems. 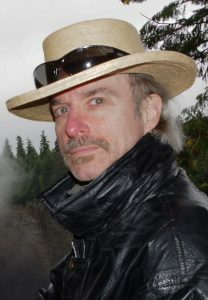 Sean Arthur Joyce, of New Denver, is the author of seven books that include three books of Western Canadian history, three books of poetry and a novel published in 2018, Mountain Blues. You can learn more about Sean and his work here.